Did Pujols and the Cardinals Censor Joe Sports Fan? 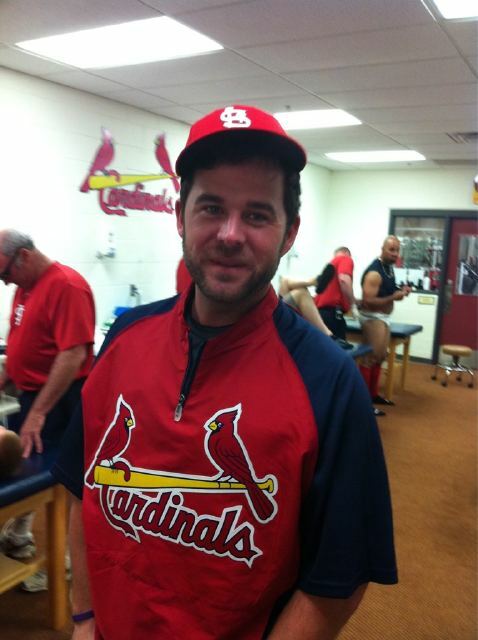 Did the Cardinals and Pujols not like the photo and flex some muscle on poor little KFNS? Does their afternoon guy Mr. Kevin “The Cardinals Don’t Control My Station!” Slaten know about this yet? Because it really seems like someone should tell him, being as this pretty much makes it clear that they (probably) do control his station. Or maybe it’s not that you’re embarrassed as much as you are hiding something…what is it Mr. Pujols? Something on an upper thigh that you don’t want anyone to see maybe? 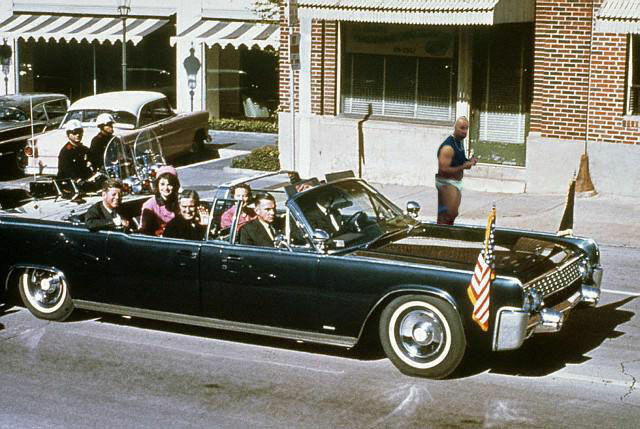 Afraid we’d recognize that birthmark from this photo taken just moments before the Kennedy assassination?!?! That was it all along wasn’t it?! Until yesterday, when Ryan Franklin mistakenly blew your cover, you were going get away with it! No longer sir! You will answer for your pantsless actions that seemingly took place long before you were born (…we think)! We will not bow to whatever pressure you put on Joe Sports Fan and go quietly in to that dark night! We will stay right out in the light…a light so bright it will remind you of your freshly cleaned whitey-tighty undergarments! We’re here, we have a mild knowledge of Photoshop, and we think underwear is funny! We won’t go away! Anyway…long story short: Someone tell Ryan Franklin you can never…never…never really delete something off the interent.